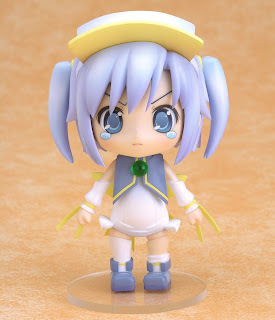 First up is the uber cute Pastel Ink Nendoroid from Good SMILE Company, she is currently on her way to me from Play Asia. She came back into stock briefly so I snapped her up, she will be my very first Nendo. 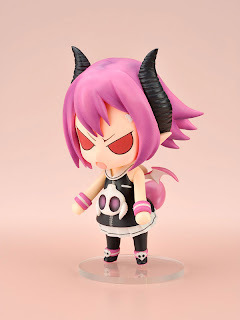 Then there is the devilishly cute Nendoroid Raspberyl from Phat Company, she would have been my first Nendoroid but she was delayed a month or so. She also is on her way to me, from Hobby Link Japan. 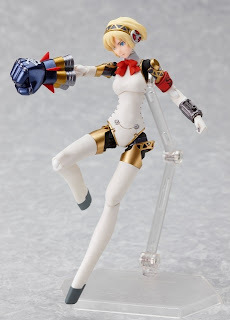 Also coming into stock this month is the lovely Figma Aegis from Max Factory, I am getting her from Hobby Link Japan. In November the huge and awesome new action figure line Actsta Subaru is coming out from Max Factory + Liquid Stone, I have one ordered with Hobby Search. I cannot wait to check her out, a new figure line which is huge she is 1/8 scale aprox. 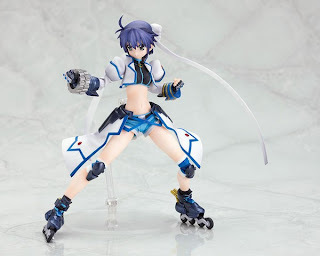 Also around the same time Figma Vita from Max Factory is coming out, I have one ordered with Hobby Search. 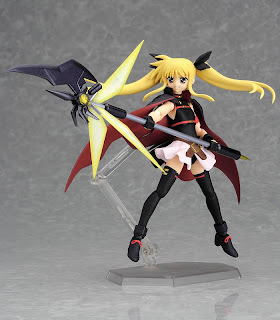 She will be my second Nanoha series figure, I really want to watch the anime but I can't seem to find it here in NZ. I also have a Wing Gundam Zero Waltz ordered with Hobby Link Japan for their Dec re-stock. 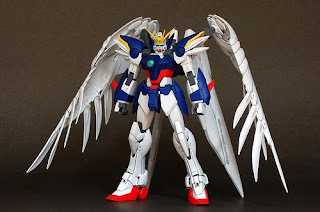 This Gundam appealed to me because it looks so great with its huge angel wings. I plan to custom re-paint it. It will be pearl white with chrome silver lining and detailing, although I want to keep it rather sparse as I want it to be like a bright white shinning angel. So no red blue or gold! I will prob use spray paint this time for the pearl white, and will spray paint all the pieces before constructing the gundam, perhaps that will make it quicker. 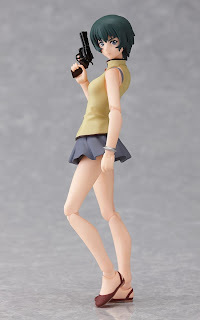 Next year I have this girl ordered for Jan, Figma Ein from Max Factory. I am not sure whether or not I will keep this pre-order, she is really cute but if another figure comes along which I want more I will cancel and order that one instead. Pre-ordered with Hobby Link Japan. 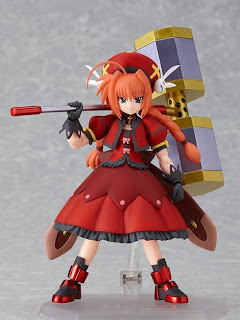 This Figma is definitely a get however, pre-ordered through Hobby Link Japan, Max Factories Fate First Movie Edition. I decided to get her as her clothes are awesome and she is much cuter in this younger version Figma. She is also a Jan release. This is a wishes figure, and I will get her, even if she is a Queens Blade Revoltech, however she is far less naughty than the other ones in the series and she is just gorgeous. 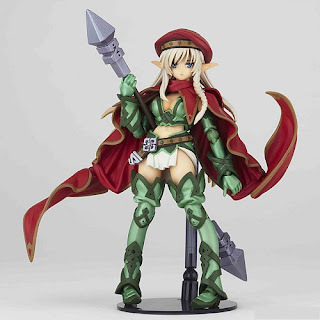 Alleyne from Kaiyodo, I have seen still PVC figures of her and wanted Revoltech to make a version of her in the Queens Blade action figure line, and I was so happy when I found out they have. She just looks so great. So I will get her as soon as pre-orders open. And no I will never use the naughty version cast-off thing they come with, thats just rude! lol. 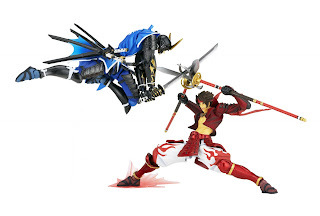 These are two more figures I have down on my wish list, although they are already available for pre-order and will be out mid Nov, I am holding off getting them until I have a summer job sorted, I don't want to be out of money due to buying too many figures just as my student allowance stops for the year! 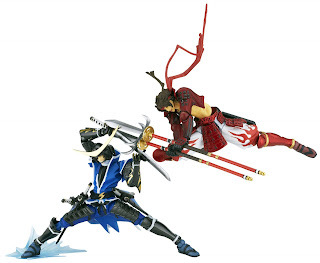 I want to get these figures because it's not often great male action figures come along, which are affordable. Plus I think its about time that my girls had some love interests since Briareos is already taken. So that's all the figures I have in my sight for now, as for some rather nice exclusive which are available they are too expensive here, if I am able to visit Japan next year then I will set a rule for myself that I can only buy stuff I can't get at home, so that means heaps of Japanese candy, a Yukata and exclusive Figmas!